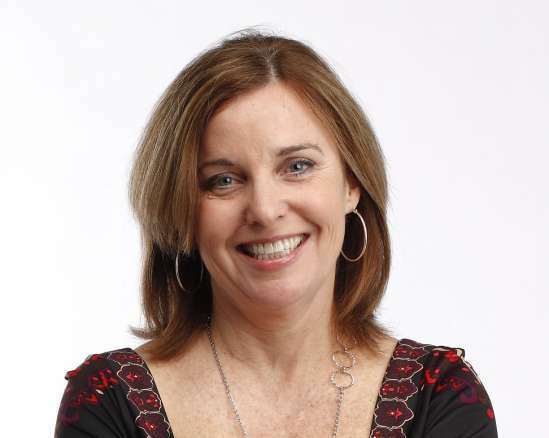 Ann Killion is a sport columnist at the San Francisco Chronicle and has covered Bay Area sports for more than two decades. What types of stories, trends or issues are on your radar now? In addition to all things about Bay Area sports, I try hard to look for stories beyond the mainstream “big three” sports – stories involving women in the sports world and stories that reflect issues of our times, as they impact the sports world. Stories about the human condition. I’m not a “sports reporter,” I’m a writer who happens to cover people who play sports. I try to find something in a story that goes beyond the box score and hits at a deeper level. Stories that touch people’s hearts and that they remember. I have readers who come up to me and mention something I wrote years ago that they remembered, because they could relate to it on a personal level. That’s the best. Tell us about your dream assignment. I may have already had it: covering the 1998 World Cup in France, spending a month in Paris and fast-training it to other cities. It’s hard to top that, but I love traveling and seeing how sports can bring the world together. Thinking about my next column. That’s life at a daily news organization. What advice do you have for PR people who want to pitch you? Know who I am. My inbox is filled with emails that have nothing to do with anything I write about, and some come back again and again, wondering why I haven’t responded. I’m a local product – grew up in Marin County and moved back there to raise my two kids, who are now awesome young adults. I was out on my own freelancing for a couple of years between jobs as a full-time sports columnist and realized how much I missed writing for the engaged, intelligent fan base in the Bay Area. I’ve written four books the latest are aimed at kids – “Champions of Women’s Soccer” and “Champions of Men’s Soccer.” When I’m not working, I’m traveling, seeing live music, hanging out with my awesome friends and playing with my yellow lab. Questions for Ann? Leave a comment below or you can Tweet her directly at @annkillion. Thanks for your post. I really like that you said you write about people who happen to play sports. That’s a great way to look at it. I remember the World Cup coverage! It seemed like the first time I was exposed to a whole new community…thanks! Great blog, Ann. As a currently dormant whisky blogger, one of my biggest frustrations was receiving pitches which we’re complete irrelevant to what I was writing about on my blog. A little bit of research can go a long way! After having covered sports for two decades, I can only imagine the stories you can tell! Thank you for also giving attention to more than just the “big 3.” There’s lots of exciting activity happening all around the Bay Area. I find that stories involving sports figures are usually some of my favorites. I think that’s because there’s often some level of overcoming adversity to win, which makes for a compelling read. Ann, keep on hitting out of the park with your great storytelling!